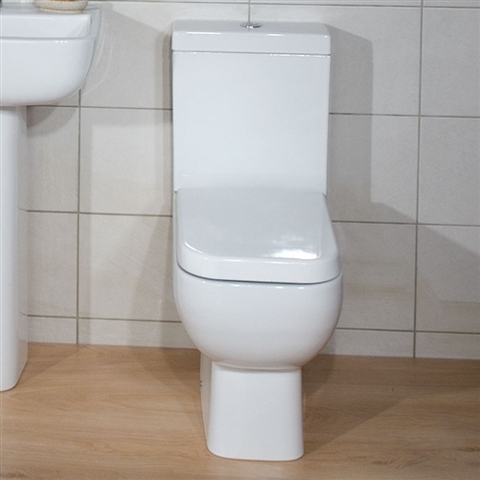 A Close Coupled Toilet is a traditional cistern on a base design in essence, although with an enlarged modern cistern that sits 'coupled' with the toilet to provide a modern twist on a classic design. While Close Coupled Toilets would have once fit into the Traditional Toilets category, the styles and designs available have seen the category swap, and now, while still available, Traditional Toilets, with the cistern separated from the Toilet, now fit into the Close Coupled category. 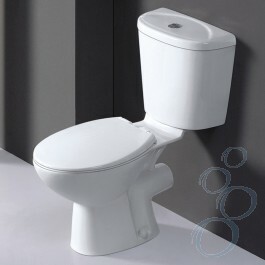 The Galaxy Close Coupled Toilet with Premium Seat at £59.99 is an example of the many budget styled toilets with push button flush. Wickes, B&Q and Screwfix are high street chains that often sell similar toilets for under £30. 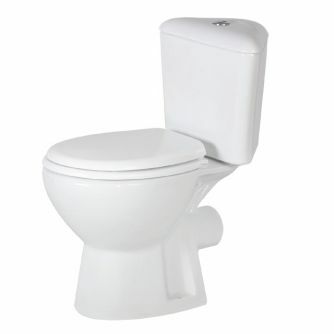 The Premier Melbourne Corner Toilet with soft close seat has a similar styling to the above but is more robust with a solid seat and the slightly increased price tag relates directly to the fact that it is a rare corner toilet. It is a little surprising that corner toilets are not more common - how many times have you bashed your leg against a radiator, the wall or the toilet roll holder. An underrated space saving solution. Proving that style and modernity are not necessarily expensive are the many variations on this sort of style that are available for significantly less than £100. We have seen this particular model called the Prima and the Nevada at various stores. Perhaps the most popular current design among the more modern looking models is this squared off style. This Maurina at £165 is interesting in that it is a small space saving profile. 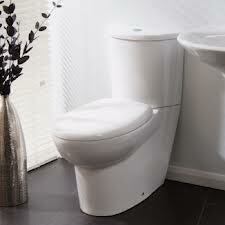 The width of the toilet and how far it extrudes from the wall are considerations when working with limited space.